BEIJING — Global stocks and the price of oil dipped Wednesday as investors awaited the release of the minutes to the U.S. Federal Reserve's latest meeting for hints on when interest rates might be raised again. KEEPING SCORE: France's CAC-40 dropped 0.7 percent to 4,431 while Germany's DAX shed 1.2 percent to 10,549. London's FTSE 100 declined 0.2 percent to 6,880. 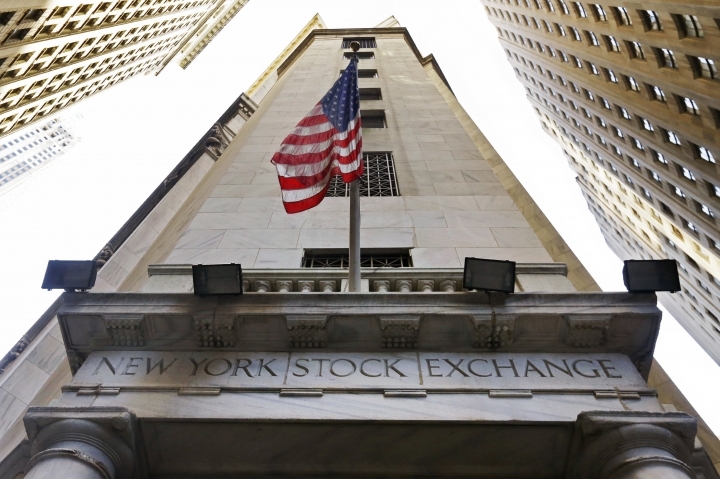 Wall Street looked set for a weaker opening, with futures for the Dow Jones industrial average and the Standard & Poor's 500 index both off 0.1 percent. FED WATCH: Wednesday's release of notes from the Fed's July meeting will provide insight into the debate among board members over when to raise rates. One member of the policy-making board, William Dudley, said earlier that it was premature to rule out further increases this year and another member, Dennis Lockhart, has said there could be two hikes in 2016. The Fed's earlier decision to hold off raising rates has weakened the dollar, helping exporters. HONG KONG STOCK LINK: Earlier, China's Cabinet approved an initiative that would give foreign investors more access to Chinese stocks by linking exchanges in Hong Kong and the mainland city of Shenzhen. Hong Kong is Chinese territory but its financial system is open to foreign investors while mainland markets are sealed off. The move helped boost sentiment in Hong Kong on Wednesday, but analysts said the influx of foreign money into Chinese stocks is likely to be modest. A similar measure to link Hong Kong with the Shanghai stock exchange took effect in 2014. ASIA'S DAY: Hong Kong's Hang Seng was off 0.5 percent at 22,799.78 and the Shanghai Composite Index was unchanged at 3,109.55. Tokyo's Nikkei 225 gained 0.9 percent to 16,745.64 points and Seoul's Kospi rose 0.9 percent to 2,017.94. India's Sensex lost 0.1 percent to 28,022.97. CURRENCY: The dollar gained to 100.69 yen from Tuesday's 100.33 yen. The euro edged down to $1.1269 from $1.1276. ENERGY: Benchmark U.S. crude shed 25 cents to $46.33 per barrel in electronic trading on the New York Mercantile Exchange. The contract rose 84 cents on Tuesday. Brent crude, used to price international oils, also dropped 25 cents, to $48.98 in London. It added 88 cents the previous session.